Around the WorldFor author and historian Charlotte Gray in The Massey Murder: A Maid, Her Master, and the Trial that Shocked a Country, the murder is an access point, a window into Toronto a hundred years ago, and into the changing social fabric of Canada. Carrie Davies would have been one of the countless unknown servants of wartime Toronto if not for her actions on February 8, 1915. An eighteen-year-old immigrant from a big family in England, she was working to support herself while sending money home. But then she picked up a gun and shot the man she worked for: Charles Albert Massey, of the prominent old Ontario Massey family. 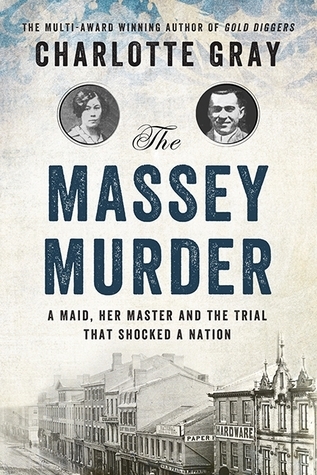 For author and historian Charlotte Gray in The Massey Murder: A Maid, Her Master, and the Trial that Shocked a Country, the murder is an access point, a window into Toronto a hundred years ago, and into the changing social fabric of Canada. Toronto is my adopted city, the place I moved to in 2008 to continue schooling, to pursue a career and become an adult. It’s the city I know and love best, having learned its streets, its festivals, its hidden restaurant and pub gems, in a way I never did where I grew up: savouring rather than taking the terrain from granted. I also arrived in time for a crippling garbage strike and a mayoral race that, years later, has left city hall in the grip of personal and possibly criminal scandal. I have a fascination for Toronto’s politics and its history. So The Massey Murder is exactly the book I was looking for. Less a focused true crime account and more an examination of class, gender, and history, Gray has written a compelling narrative of the Toronto that was a century ago. I’m kicking off the new year with a couple of new blog features. The first is audiobook reviews! If you haven’t binge-watched Orange is the New Black on Netflix (I watched all 13 episodes in a day and a half), you’ve probably at least heard about it. Part of the show’s draw is that it’s based on real life events. 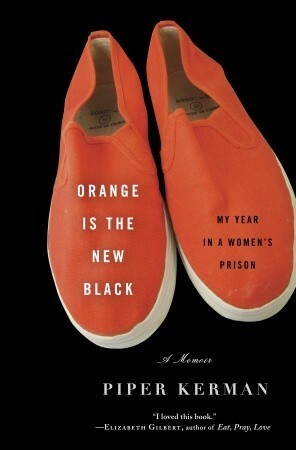 Piper Kerman’s memoir Orange is the New Black: My Year in a Women’s Prison documents the thirteen months Kerman spent in a federal correctional facility in Danbury, Connecticut. Narrated by Cassandra Campbell, the audiobook is a fascinating and surprisingly touching look at life behind bars. What’s a freelance writer who is a bit short on cash to do when his brother bails on their customary joint gift for Grandma’s birthday? If you’re Iain Reid, you follow said brother’s advice and give your grandmother a gift uniquely suited to you: time. 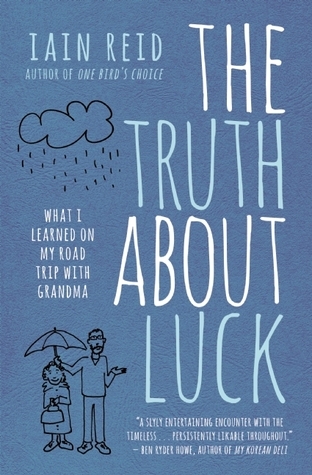 The Truth about Luck is Reid’s memoir of the week he and his grandma took a staycation together. It’s an unassuming premise that unfolds into a quiet, funny, and insightful book. Reid offers to take his 90-year-old grandmother on vacation for a week to celebrate her birthday. He doesn’t mention that due to cashflow issues, the vacation is going to take place in his apartment in Kingston, a couple of hours away from her home in Ottawa. Grandma doesn’t mind, though. In fact, she tells him that all her friends simply couldn’t believe he was doing such a nice thing for her. Reid’s guilt and neuroses that he can’t show Grandma a better time are overwhelmed by her relentless optimism and genuine pleasure at spending time with her grandson. They roadtrip together from Ottawa and over the course of the week go out for dinner, enjoying reading on rainy afternoons, take a ferry out to Wolfe Island, and find their conversation flowing more and more freely. Matthew Goodman is a narrative historian. 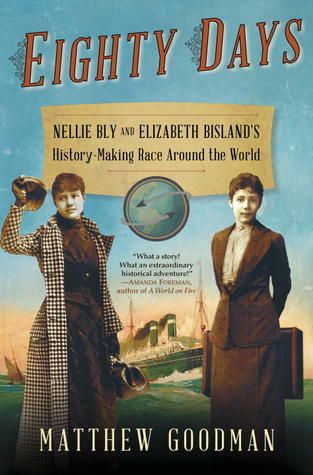 In his latest book, Eighty Days: Nellie Bly and Elizabeth Bisland’s History-Making Race Around the World, he takes readers into the late 19th century to follow two remarkable female journalists as they race against time—and each other—to complete the fastest journey around the globe ever undertaken. Along the way they see the world in new and different ways, and we get to glimpse what life, colonialism, and the dawning of a newly globalizing but still highly stratified world. He was kind of enough to sit down with me to discuss this superb book. I’d like to thank you for taking the time to discuss your new book with me. It’s a fantastic read. There’s an immediacy to it that I really appreciated. So some basics. What led you to this project? I’m very interested in narrative history, which is really the kind of writing I see myself doing—telling a true story, a historical story, and using some of the devices that are usually associated with fiction. I like the fact that it’s possible for a reader to pick up the book and flip to any given page and perhaps not even know if they were reading a history book or a novel. So I was looking around, I had done a book like that before and I was looking around for another topic to do, and I sort of knew who Nelly Bly was, but I wasn’t exactly sure who she was. I knew she was a journalist. I live in Brooklyn, in New York, and there used to be a Nellie Bly amusement park in New York, so I know her as the namesake of this amusement park. But I didn’t know much else about her. I saw a reference to her and I investigated it. I knew I wanted to write about a female main character. It turned out that she was indeed a journalist, but not just any journalist—this really amazing journalist. A female journalist unlike any that New York had ever seen before. This was a time when most women were relegated to writing for the Women’s Page, writing about recipes and gossip and shopping and so forth. Nellie Bly was an undercover investigative reporter for the most widely read newspaper in New York who was willing to get herself committed to an insane asylum, to expose the conditions in the Blackwell Island Insane Asylum. It was really courageous, she didn’t know if she was going to get back out. It took all of Pulitzer’s doing to get her back out. So I was thrilled to discover her. And then I discovered that in the fall of 1889 she undertook her most audacious adventure yet, which was to try to go around the world faster than anybody had ever done it before, to try to beat in real life the fictional mark of 80 days that Jules Verne had set. I just immediately thought “That’s the book!” I’m thinking Nellie Bly in Hong Kong! Nellie Bly on the Suez Canal! Then I discovered that Nellie Bly wasn’t only racing against the calendar or against a fictional character but that in fact there was this real life, rival female journalist who was racing in the other direction to beat Nellie Bly! I was just captivated by that, the idea of these two young female journalists racing each other around the world, one going east, one going west. Nellie Bly and Eliabeth Bisland. Image originally appeared in Frank Leslie’s Illustrated Newspaper, reproduced in Eight Days, by Matthew Goodman.